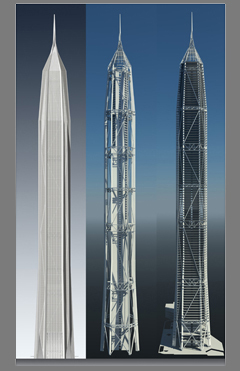 AE Interest: Reaching 1km upon completion, this pair of buildings will be the tallest in the world. 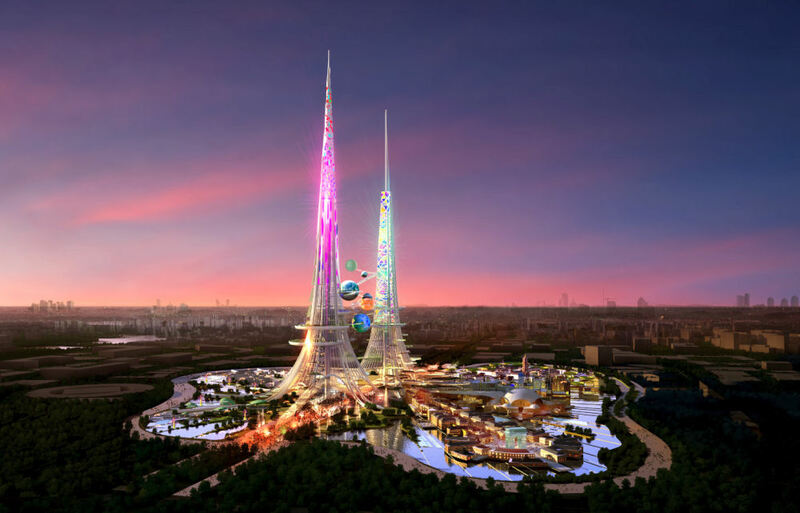 These towers will be composed of a steel superstructure, concrete core with ‘hat’ trusses, a trussed structure at the base, out-riggered for lateral stability and concrete buttresses. 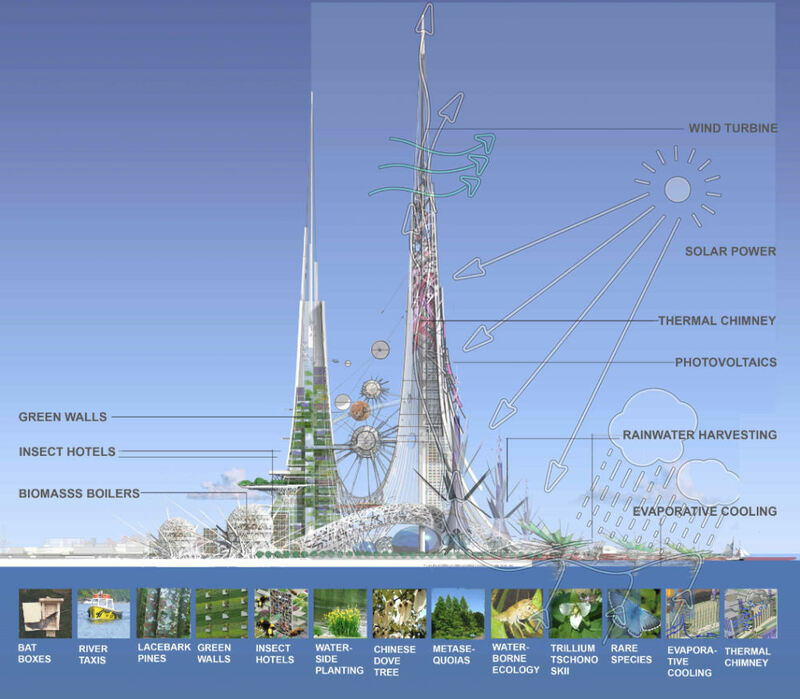 They will be outfitted with wind turbines, photo-voltaic panels, thermal chimneys, rainwater harvesting systems, biomass boilers and hydrogen fuel cells. 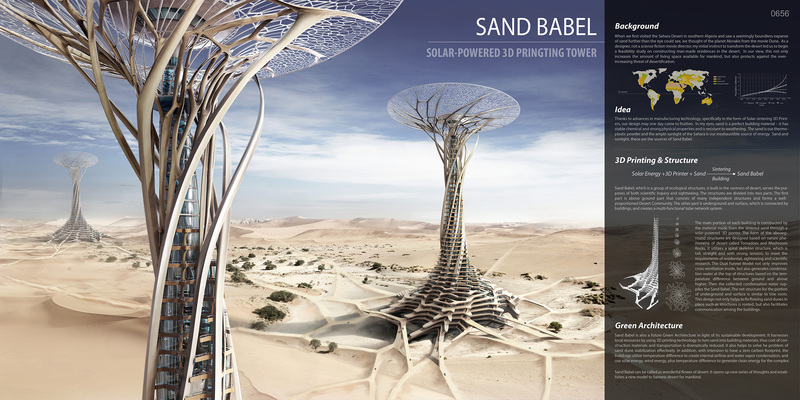 AE Interest: These towers will be manufactured from adjacent sand by a solar-powered 3D printer. 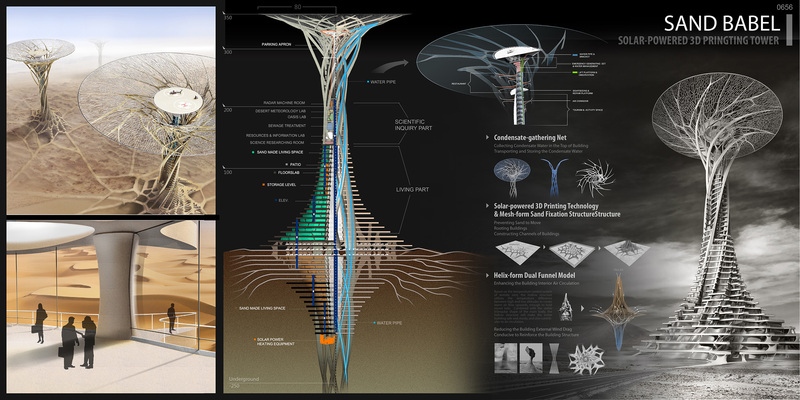 The lower root-like structures will stabilize and reinforce the dynamic flowing sands while the upper spiral skeleton would be constructed using continuous transmission of tensional forces and house a water-generating system located in the mushroom-shaped roof exploiting temperature differences to produce condensation. AE Interest: Spanning almost 2,700 square feet and inspired by quasicrystal grid patterns, this unique facade forms a hive-like, double skinned assembly made of Elegant Embellishments’ prosolve370e modules. 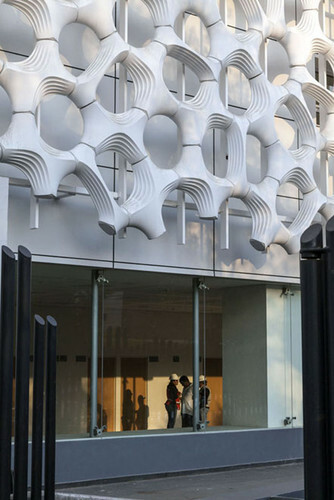 Designed to clean the city’s polluted air and act as a natural light filtration system and solar gain blocker, the skin is coated with superfine titanium dioxide which mitigates pollutants when triggered by sunlight. 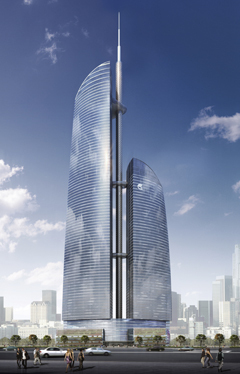 AE Interests: This 2,165 foot skyscraper has been pre-certified as a LEED Gold project. 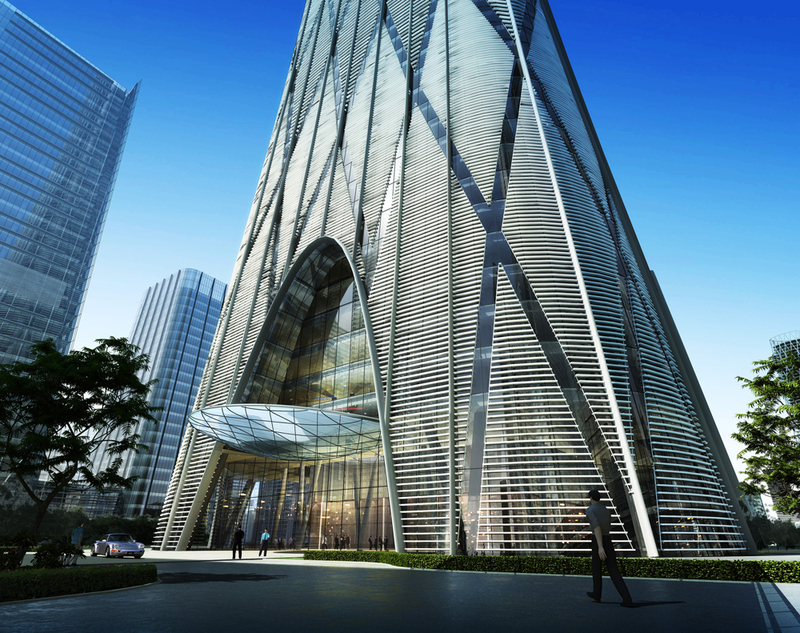 The façade will consist of glass panels affixed to chevron-shaped vertical stone members that extend from the foundation. Perimeter columns are concealed within the stone verticals and will interlock at the corners by diagonal braces. 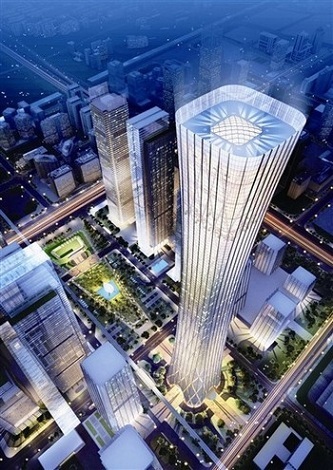 The tower will house 115 stories with 42 million square feet of mixed use office space, hotel suites and restaurants and upon completion will be the second-tallest building in the world and the tallest in China. The Round Tower House – England, U.K.
AE Interests: Having suffered aging, neglect and fire, the original castle tower and subterranean dungeon were salvaged to create a medieval/contemporary hybrid residence. Naturally lit and ventilated by the open-air courtyard, this underground villa features glass-walled rooms, sun terrace, and an outdoor pool. The central interior feature is the round skylight that illuminates the interior while reflecting the circular design of the turret above. 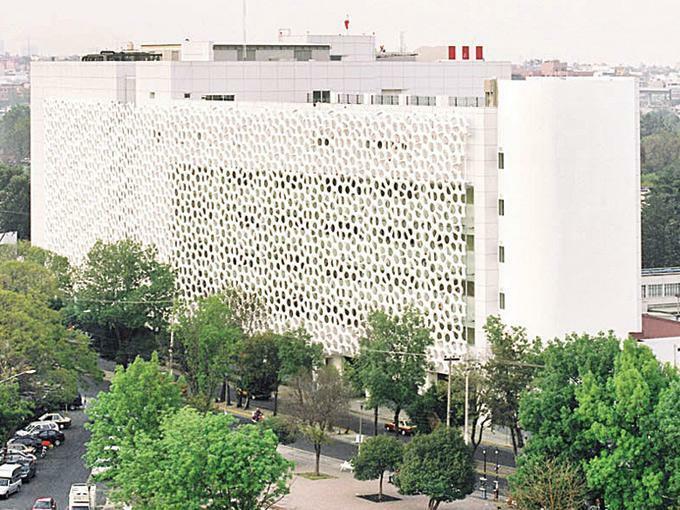 The substantial thermal mass of the concrete walls help regulate interior temperatures, proving that preserving the past while fostering innovation is the greatest strength of projects such as this. 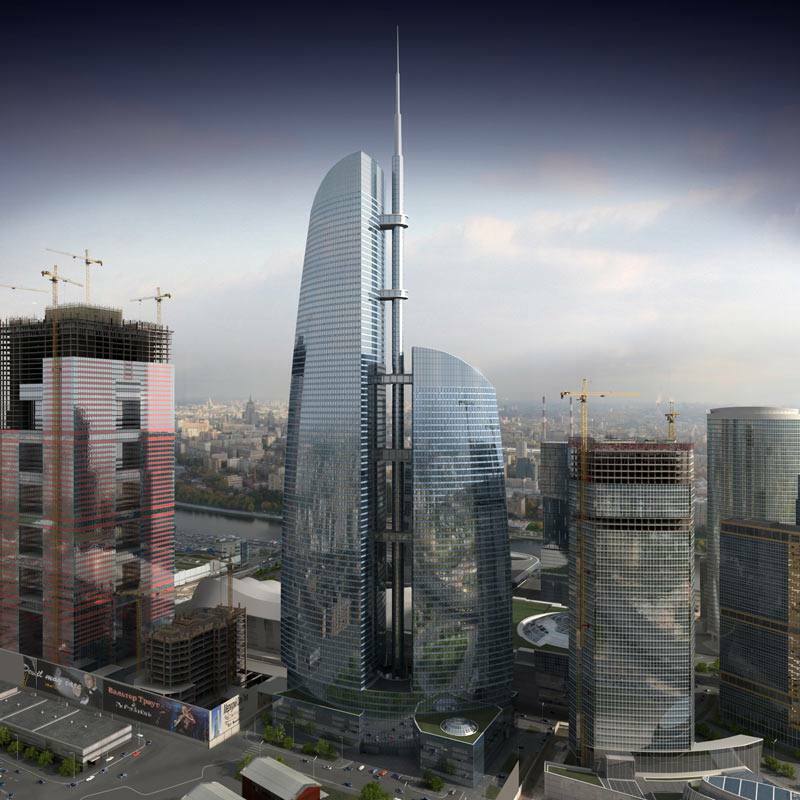 AE Interests: This 1,706 foot tall, mixed-use skyscraper will be the tallest building in the city upon its completion and will contain 21.5 million square feet of office space, apartments, six-star hotel suites, retail stores and other state-of-the-art facilities. The subtle vertical curves give this monolithic structure an elegant profile which will maximize floor area at the penthouse levels while providing structural stability at the base. AE Interests: This 1660 foot, multi-use complex will consist of two towers with a spire between them and house hotel suites, restaurants, cafes and apartments. The concrete being used for this structure is grade B90 which is twice as strong as traditional mix designs and should withstand a direct impact from an aircraft. 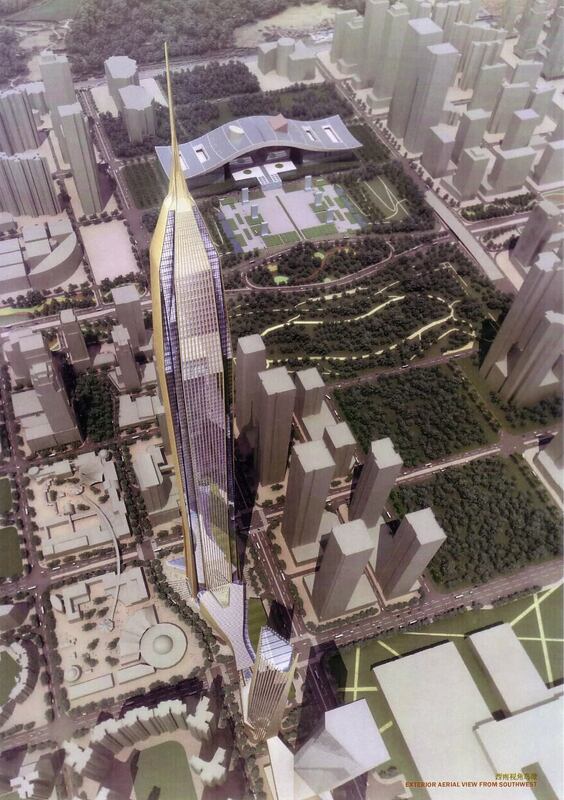 The central spire will house two high-speed elevators with external glazing as well as an observation deck.